The benefits of a trancutaneous electrical nerve stimulation unit, or TENS, result from electrical impulses that reduce the sensation of pain. According to Dr. William Teller of Stanford University Department of Material Sciences, other studies have shown that the TENS unit increases the body's production of endorphins, a naturally released painkiller. The TENS is a common treatment device in which electrodes placed on the skin cause an electrical current that decreases pain signals. The TENS unit website explains that pads are placed near the pain as electrical pulses resonate through the pads to the skin. The skin supplies a series of nerve fibers that decrease pain signals sent to the brain. The wearer of the device controls the intensity and location of the electrical impulses. The unit helps the body to produce greater levels of natural pain-killing chemicals known as endorphins, and decreases the perception of pain. The unit sends impulses through wires connected to electrodes placed at pain sights on the body. Fallon indicates that pain relief is different for each client as some users experience pain relief while the unit is and others find relief even after the unit is off. It is useful in relieving acute pain associated with surgery, traumatic injury and other conditions. The Journal of American Dental Association notes that patients were less likely to return for dental treatments after experiencing painful dental procedures. They noted, however, that when the TENS unit was utilized as a pain inhibitor during dental procedures that clients followed through on later routine dental care. 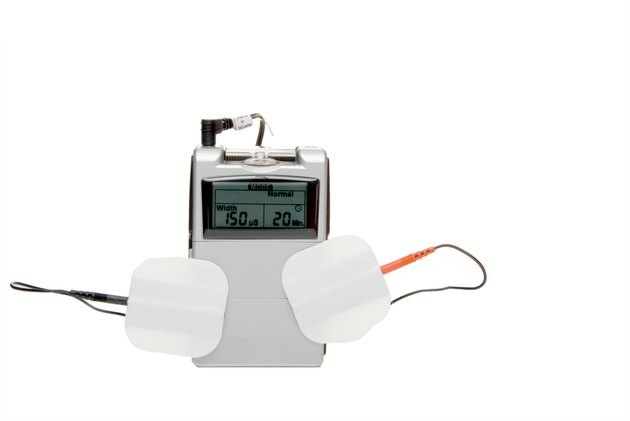 University of Washington Orthopedics and Sports Medicine note that the TENS unit can help reduce inflammation of muscle fibers and inhibit nerve pain resulting from pinched nerves, disc degeneration and sciatica. Ottawa General Hospital in Ontario, Canada tested the effectiveness of the TENS unit in treating osteoarthritis of the knee. The objective was to determine the most effective method of TENS application in pain control. Pain relief from the TENS unit was measurable in this small study and knee stiffness improved. Different alternating levels of TENS unit use such as stronger pulses and wider bursts showed increased pain relief in the knees. Ottawa General Hospital indicated that TENS units appear to be effective in pain control; however, they did note that additional studies with a larger number of participants were needed to state conclusively that the TENS unit is effective for treatment of osteoarthritis of the knees. U.S. National Library of Medicine: Transcutaneous electrical nerve stimulation for knee osteoarthritis.